In the last weeks, influencer marketing has become the rising star among marketing tactics. This is not surprising as ad blocking makes the life for marketeers and their brand campaigns more and more difficult. The team at Hashoff, a micro-influencer platform, just recently published their latest annual report on influencer marketing which gives some interesting insights in an evolving marketing discipline (by channel like Instagram, Facebook, YouTube, Twitter, Snapchat, Pinterest and Vine). 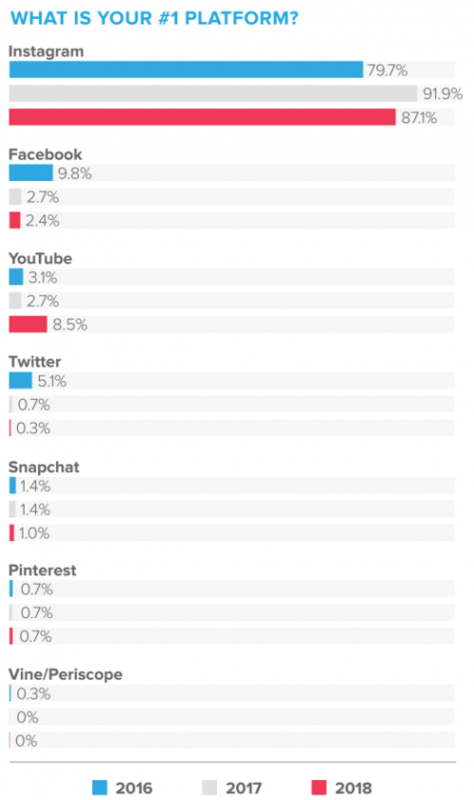 From the 300 influencers that Hashoff interviewed, 99% stated that Instagram was their place to go to in order to connect with communities and brands. Furthermore, 56% of a very much engaged community spends more than four hours per day on social media. Over 20% spend almost an entire working day with seven hours on social sites. There are already 12% of influencers that indicated that influencer marketing is their business profession. The rest of the influencers have a proper full- or part-time job next to their influencer “business”, with over a quarter of the influencers being students. Surviving as an influencer seems to be a hard business and the report suggests the impression that all influencer business is short-term and (spontaneous) campaign-based marketing activities. 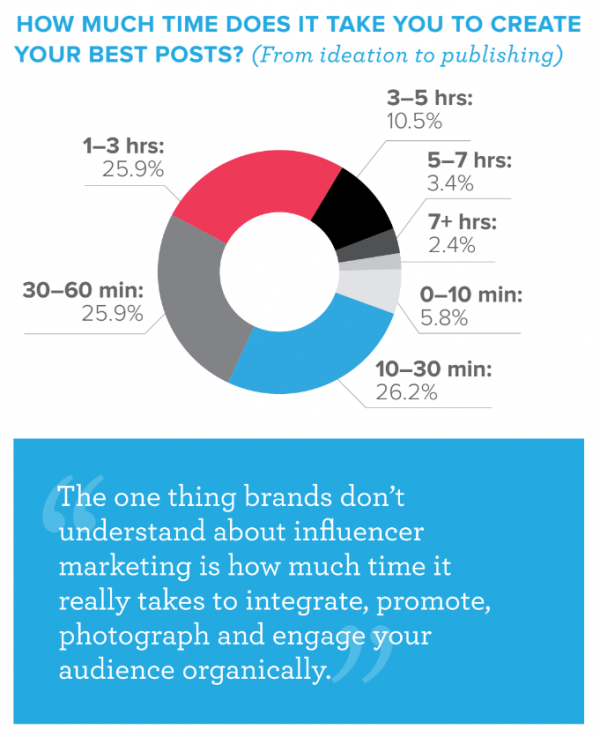 It is interesting to see how much time influencers put in the quality of their content. Over one-quarter of the influencers of the report invest up to three hours for their content from idea to production, and some even up to five hours per piece (10.5%). Half of the respondents spend 10 to 60 minutes on their content pieces. All marketers want to know in our seminars, where to find their audience for their next social media campaigns. Obviously, all decisions and spends will be depending on if you are focussing on B2B or B2C customers. Still, some general (social network) data might be helpful in organizing and planning your next campaign audiences. The guys at Trackx have recently published a new infographic. This infographic gives us the latest essential data and key insights on the major social networks. Interesting that almost every third (28%) has only one social network presence. Generation X is almost a full working day on Facebook available. Youtube generates 2 Mio. video views in a minute on their platform. And for marketers might be interesting that more than every second user on Instagram follows a brand (53%). But find the data that might be relevant for your knowledge here in this infographic. Not futuristic in terms of the design. Not too special compared to Tesla (big tablet in the middle, holographic head-up display, plug-in hybrid engine, and so on). Still, it is a smart car with a very much clean and intuitive layout. Peugeot unveiled their latest car study at Mobile World Congress last week, called Instinct concept. 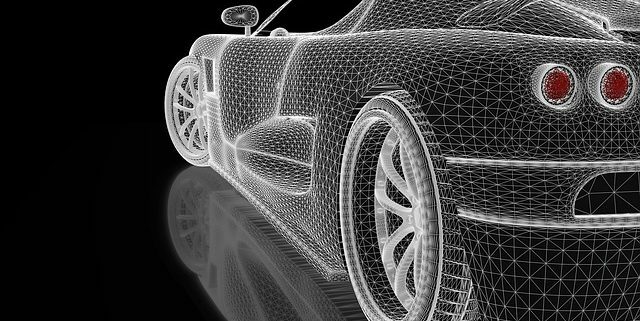 That the trend of all car manufacturers is heading towards smart connected cars is no secret any longer. However, the Peugeot approach seems like a vision probably many people cannot envision yet. Autonomous, intelligent, self-driving cars that talk to all of your other devices and can even detect in which state of fitness you are sounds like a far too futuristic project these days. Peugeot foresees a future where the drivers can choose how much control they want to give to the car. The concept offers two self-driving modes and two active modes. The car shall even be able to adjust its driving based on data analysis that it gets from connected devices like smartphones or tablets. The car technology will be based on the Samsung Artik IoT platform. As an example, the car manufacturers mentioned that if someone has been on a hard workout, the smartphone tells the car automatically to shift into an “autonomous soft” mode to let the driver relax. Sounds like a responsive car, right? “This is a bridge, and it’s something that we would like to push for the future. That’s why we didn’t create something that looks like a UFO”, states Hossann. The official debut shall be at the Geneva Motor Show next month. 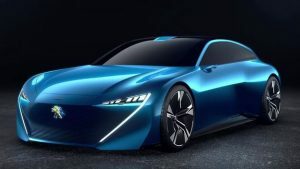 However, even Peugeot sees that the technology of the car won’t be available until 2025 at the earliest. BMW connected window. The glass for the future? Years ago, I have written about various options of companies envisioning the future of mirrors and screens. Whether it was Samsung or Toyota or any other company out there. Many brands think about the future way of living with new world of screens evolving. 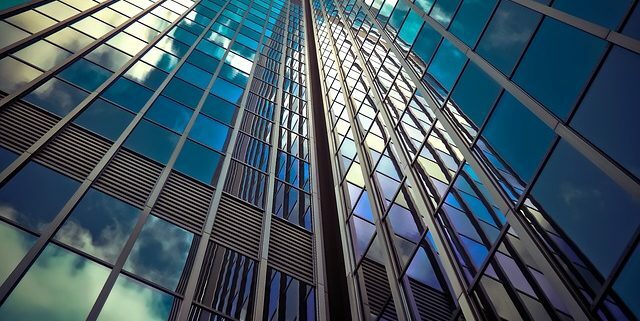 The rising mobility trend drives companies to work on the glass of the future. This time BMW came up with their latest world of a connected window. Is it a good innovation to have such a window in the bathroom (as a mirror), as a window (which takes your awareness away from e.g. the playing kids outside in the garden), or even as a car window (which might drag your attention to the wrong topic instead of focussing on the street)? https://thestrategyweb.com/wp-content/uploads/2017/01/architecture-2256489_640.jpg 426 640 The Strategy Web https://thestrategyweb.com/wp-content/uploads/2017/11/strategywebLogo-300x139.png The Strategy Web2017-01-09 11:23:302018-03-14 08:21:27BMW connected window. The glass for the future? All brands and companies wonder how to market to different generations on social media platforms. Marketers see great opportunities in reach and relevance in terms of the content, the data and the insights around consumers and customers. No wonder, as there are over 2.3 billion active social media users globally across various platforms. 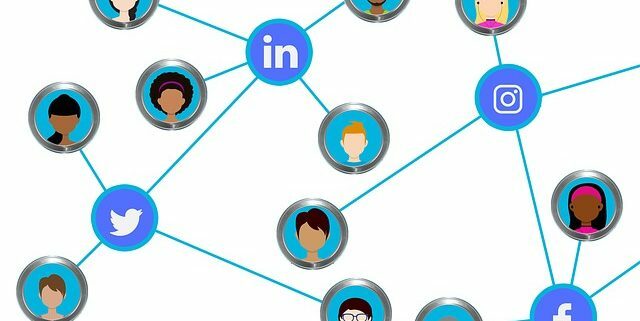 Almost 9 out of 10 Millennials (87%) are connected with brands and their families and friends via social networking. 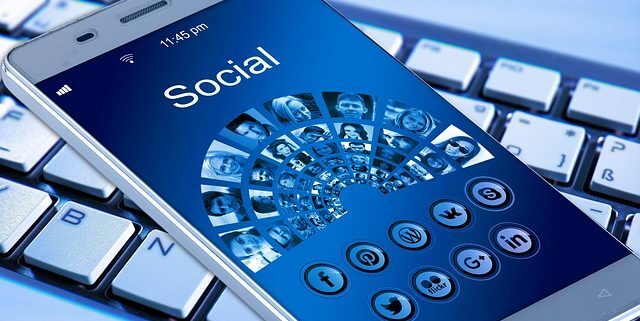 Although the social channels are becoming more and more a paid media, the most important message to all marketers will be to listen to their customers and to engage when they are active in their social worlds. In which way a brand is then capable of personalizing and individualizing messages and content is on a different page. So, it will always stay a balance between paid and organic content that brands need to deliver to their customers. However, the main challenge is to understand on which platform which target group wants to be addressed in which way. What kind of content do you need? How do these people engage? And why for brands Twitter or Instagram might make more sense than Facebook and Pinterest in talking to some of the generations. When it comes to social selling, many companies and brand believe that content marketing is the secret sauce. But content marketing is not a lead engine when not controlled, qualified and distributed properly. A recent report by Beckon states that the average amount of image and video content from brands created and posted tripled since 2015. But not for the good. The report finds that 90% of consumer engagement like Likes, shares and comments was generated by only 5% of that branded content. “In other words, 19 of 20 pieces of content pieces get little to no engagement,” it concludes. Considering all the buzz around content marketing that we could hear at digital events like dmexco, these numbers are quite interesting. And the doubtful success some companies pretend to have with it raises the question if marketers are not trying to sell too much with content marketing as Mike Templeman suggests in his latest article on Entrepreneur. Beckon also shows that the volume of content from some brands is incredibly high. The data service company tracked 29,000 and 50,000 individual pieces of content by each one brand. It becomes clear that companies are wasting content and obviously do not know how to make most out of it. The data of the insights for the report was collected from companies like Coca-Cola Co., Gap, Microsoft, HP, Reebok, and others that Beckon is working with. Beckon CEO Jennifer Zeszut states in an interview that some brands seem to have the primary key performance indicator (KPI) on content to generate more of it. Obviously the study proves that case with the numbers. The reports claims that the value of paid versus owned media seems to be unbalanced which seems to be a proper explanation considering how social networks are changing today and becoming more of paid media platforms. Furthermore, the report finds that there is just a 7% increase among its clients in paid or so-called “working” media. Compared to that nonworking spending of their clients increased by 50% year over year, it shows how uncontrolled the budgets are spend in content production. And despite the fact that programmatic is not everybody darling, the Beckon findings showcase that digital media bought programmatically by their clients generates twice the return on investment of other digital buys. However, just about half of measured digital spending was bought programmatically. But the question is why this content is not triggering engagement. According to Beckon, often the lack of quality control at companies is a challenge. 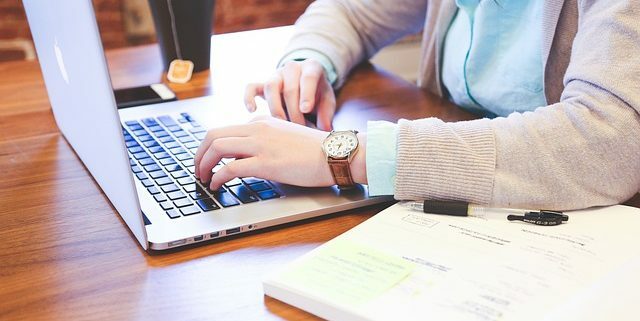 Many content teams simply overlook the content process by delivering guidelines and checking the produced quantity of content. However, they lack on proper content delivery and distribution. 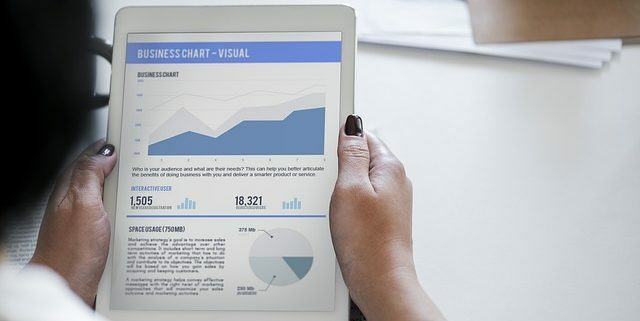 Content marketing is nice tactic but you need to know how to leverage social selling properly with the right strategic KPI set. Then content marketing gives you the right business impact.